Just as Ramadan gets under way, the row about pork DNA in halal products has erupted again, with Muslim consumers being warned not to consume certain halal-certified products. The Muslim Arbitration Tribunal (MAT) this week said it would send letters to 1,400 UK mosques telling worshippers to avoid products certified by the Halal Food Authority (HFA) until HFA has offered assurances on its auditing and certification. 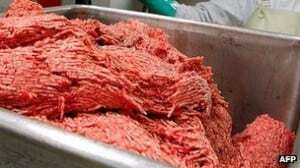 The move comes after HFA-certified products made by McColgan’s and supplied to prisons by 3663 tested positive for traces of pork DNA ear- lier this year, which the HFA says it has strict rules to avoid cross-contamination similar warnings about those products, it added. In addition to HFA, the MAT also approached McColgan’s and 3663 to participate in its inquiry and come to its meeting earlier this month. McColgan’s said it was thoroughly investigating the incident and had co-operated fully with the relevant government bodies. It added that it had written to the MAT in advance of its meeting to give it as much information as possible, “bearing in mind its own investigations are ongoing”. 3663 said it had not attended the meeting as it was only the distributor and not the manufacturer of the affected products.